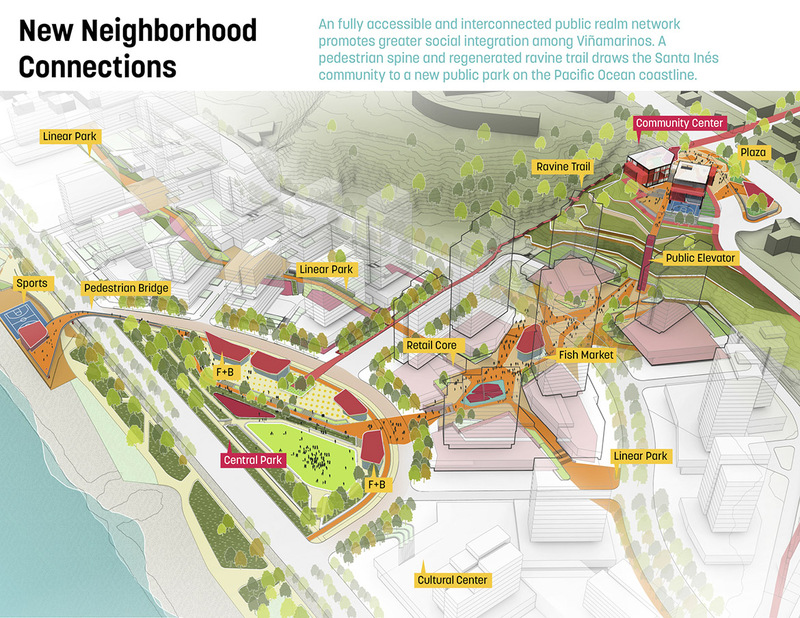 Jury comments: Las Salinas could be viewed as a “strategy salad,” but the urban interventions planned for this coastal Chilean community are promising. 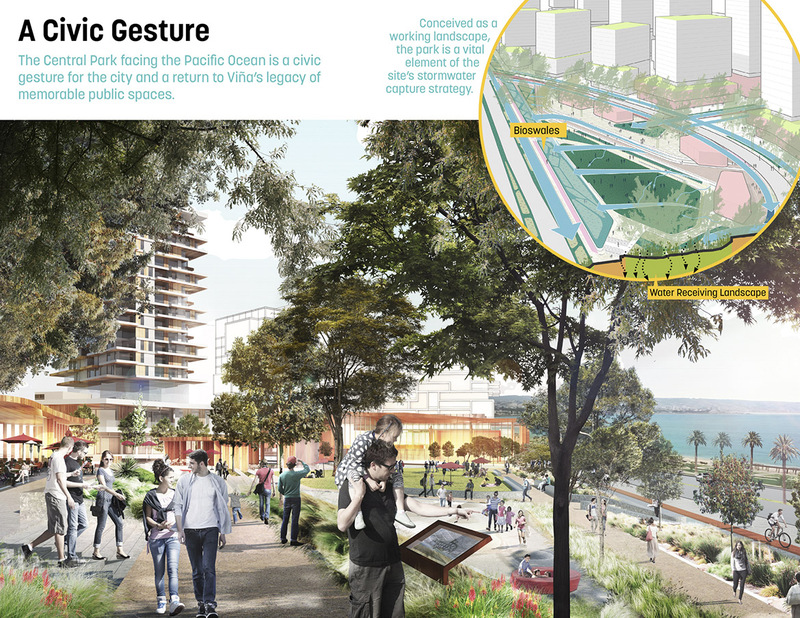 Now, residents may access the waterfront by automotive, pedestrian, and rail pathways. 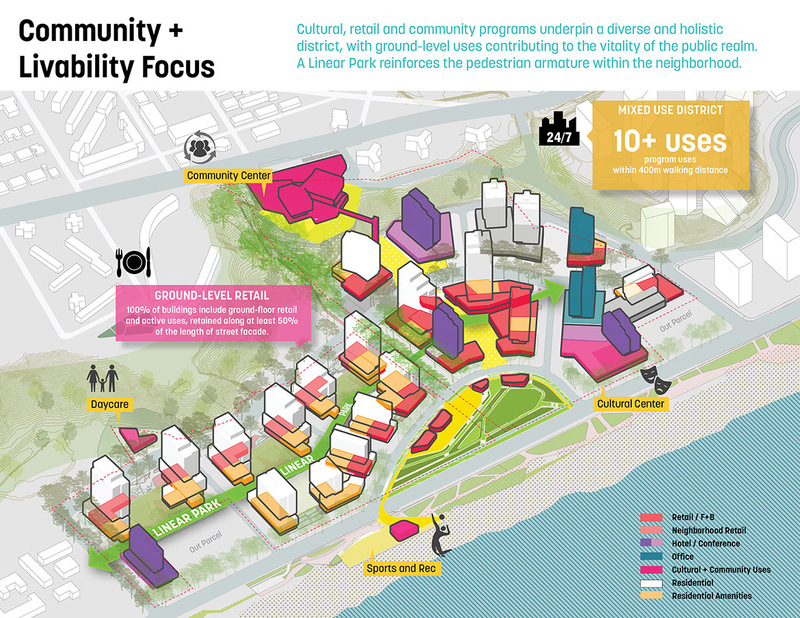 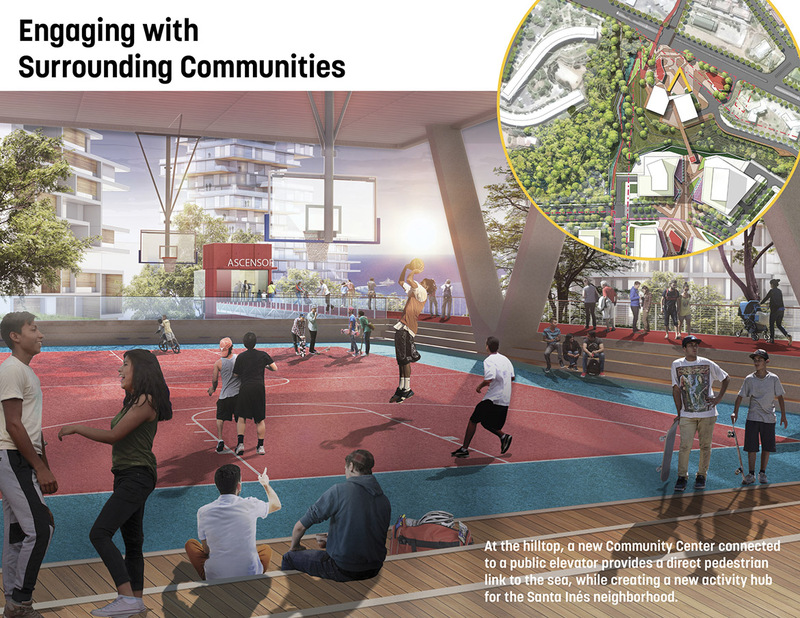 A brownfield site is rehabilitated to accommodate the stuff of communities. 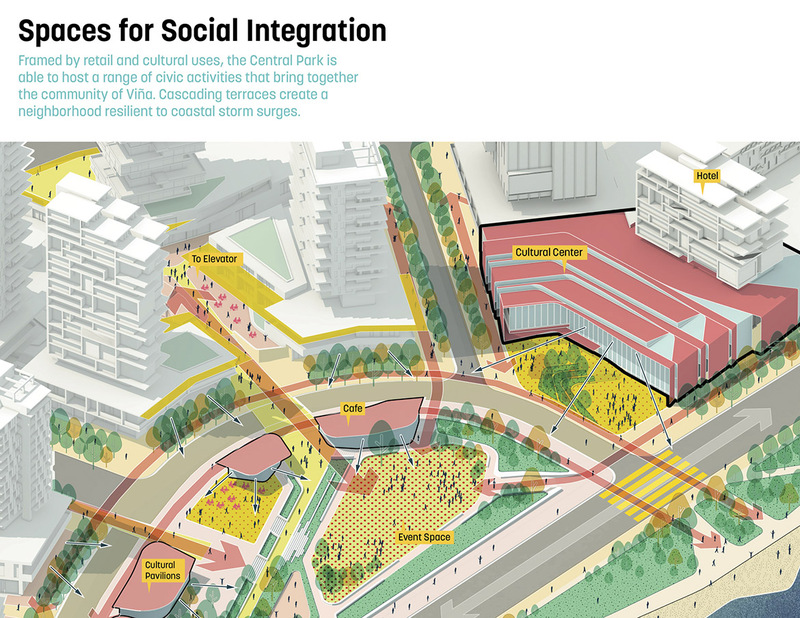 The jury was impressed by this plan’s organization and circulation.